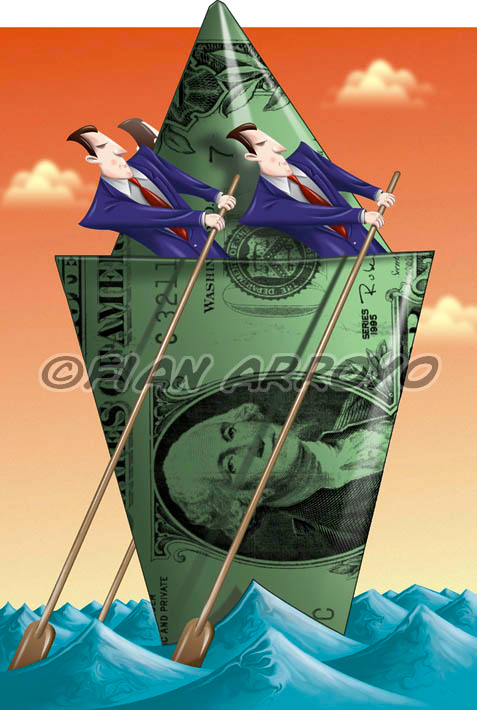 This is an illustration pulled from the archives of Fian Arroyo Illustration I did years ago for a business magazine for Thomson Financial depicting teamwork. I believe it was an article on companies building teamwork skills kind of like the thing my buddy Tom's site does. I wanted to show how teamwork in a corporate environment could keep the company moving forward in a collective effort towards a common goal. This image is available as stock art. Contact me directly if you are interested.